Fella had a warm, happy home with her sister Zany and her two mothers, Mama Lacy and Mama Shannon. But after Mama Lacy died, Fella's grandmother went to court and got custody of her so now Fella lives with her grandmother, Mrs. Madison, and not her other mother and sister. One night Zany sneaks into Mrs. Madison's house and Fella catches her stealing Mama Lacy's ashes. 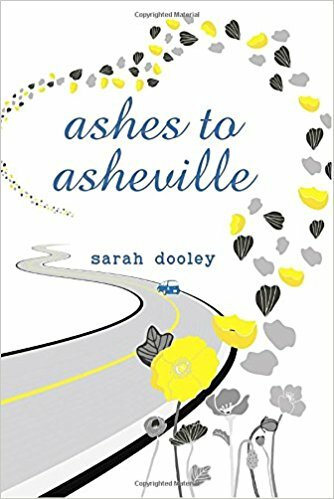 The two girls, and Mrs. Madison's poodle, set off on a road trip to Asheville, North Carolina to scatter their mother's ashes in the place they called home when they were all together and happy. The trip doesn't go as smoothly as planned, though, with car problems, a thief, an injured poodle, and more. I wanted to love this book concerning a family with two mothers who cannot be a family anymore due to outdated laws. Unfortunately, I just liked the book, and even that is tenuous. Neither of the girls were appealing to me with their constant bickering and disregard for the safety of the dog. There were problems galore which made the book stressful and unrealistic. Finally, I saw the ending solution to the problem coming a mile away and it seemed too pat, even though it was nicely happy.